The Music Center at Strathmore, now one year old, is a delight to the ears and the eyes. 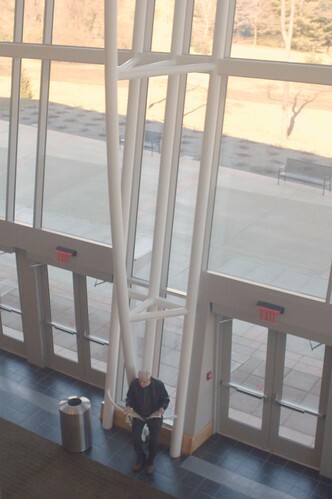 To enter the Music Center from the enclosed parking garage, you walk through a light-filled skywalk into a light and airy building with a spacious feeling. Huge picture windows give views of the well kept grounds with tall, old trees. This is where I went one day recently to hear Gil Shaham and the Academy of St. Martin in the Fields. The Academy of St. Martin in the Fields is named in the manner of various concert-giving societies, including the Academy of Ancient Music and the Royal Academy of Music, in London in the eighteenth century. St. Martin in the Fields is the name of the church which was the first home of the twentieth century chamber orchestra led by Neville Marriner. (I had wondered about that name.) 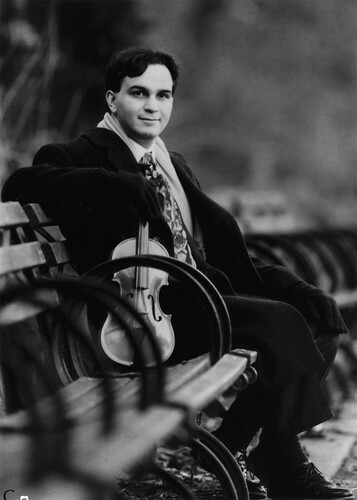 Gil Shaham was solo violinist and guest conductor of the orchestra. I know that chamber orchestras of the past had no conductors, but the sight was still strange to me. Gil Shaham sat where the concert master of a modern orchestra would sit, and he didn’t look like he was leading the other musicians. Seen from the audience, the first violins were on the left and the second violins on the right. Mr. Shaham looks just like his photos which show him with a big smile. He smiled a lot during the performance, giving the impression that something delightful was happening inside his head as he played the music. The concert began with Variations on a Theme of Tchaikovsky by Anton Arensky and ended with an arrangement of Tchaikovsky’s Souvenir of Florence. Tchaikovsky wrote the latter for string sextet after he visited Florence. The piece sounds sunny and bright, like Florence, and is very different from many of his other works laden with angst and pathos. The centerpiece of the concert was Mozart’s Violin Concerto #5. I love everything I’ve heard by Mozart, including this. It lacks the flamboyance and pyrotechnics of most of the concertos written later. In a sense it is more challenging to perform, since strong emotions must be communicated without bombast. Gil Shaham and the chamber orchestra did it beautifully. I especially liked the last movement of the concerto. It has a sense of tension which is resolved in a way that reminds me of “they lived happily ever after.” I enjoy the “Turkish” part of the last movement. It seems happy and spicy at the same time. I left the concert feeling bright and serene.